Our lovely ladies Maija Arminen and Som Nakburin a.k.a Miss Orange, will be attending the Brisbane Tattoo Expo at the Brisbane Convention & Exhibition Centre next weekend. The Expo will be located in South Brisbane and occupies most of the block formed by Grey Street, Melbourne Street, Merivale Street, and Glenelg Street.Maija who is much loved for her unique custom take on art nouveau is booked out at Little Tokyo for months, but does still have space on the Sunday at the Expo, so if you would like to get yourself a space then head over to her Facebook here to enquire. 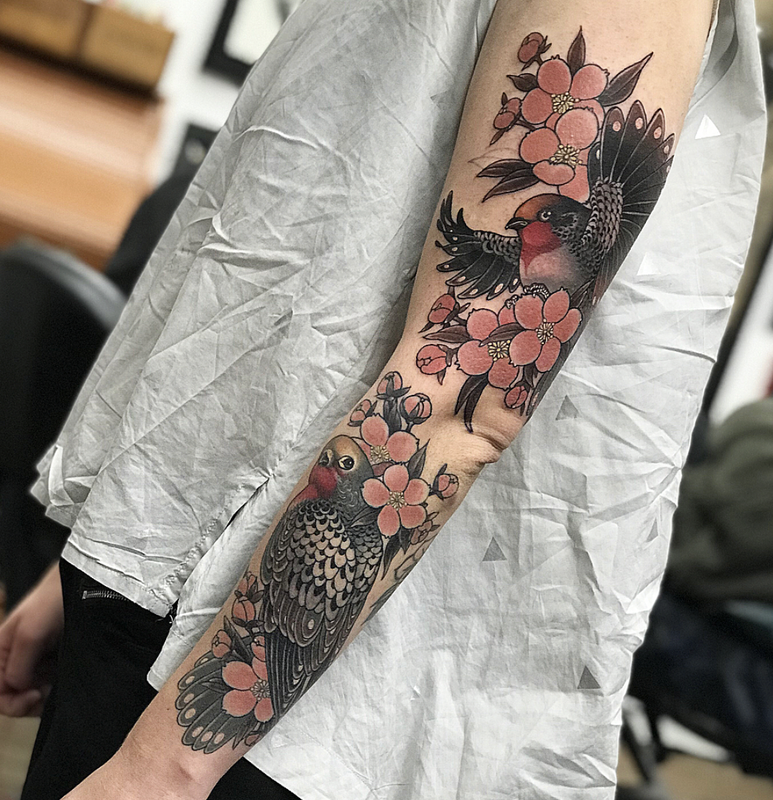 Som gives a whole new meaning to Japanese tattooing and has created a gorgeous selection of muted tones and bold colours in her very own colour pallete. 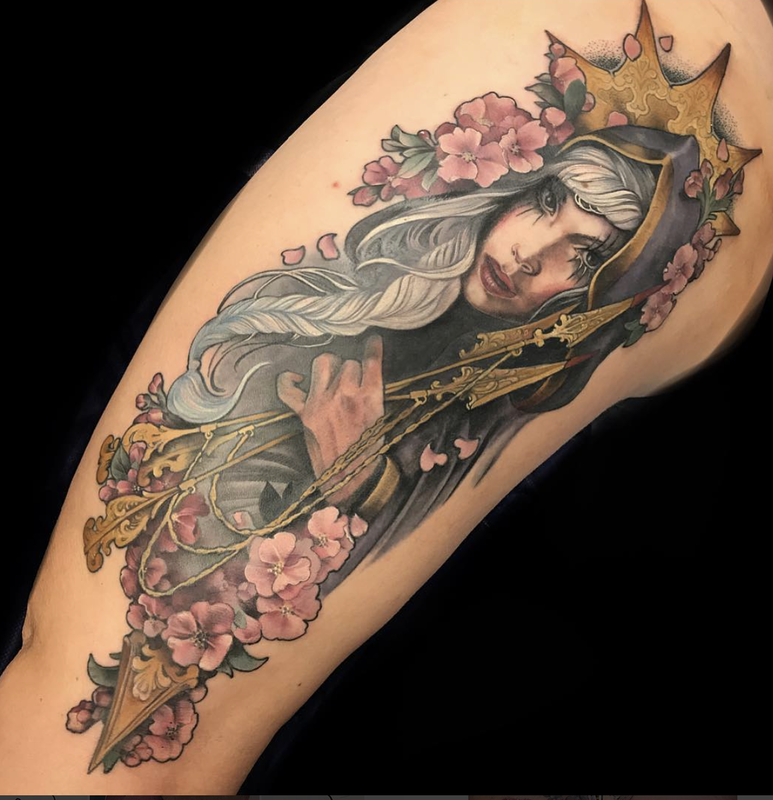 Som has left some space on the weekend for walk ups, 2 on Saturday and 1 on Sunday so if you are interested be sure to head in early and catch up with her for an appointment. The event is ticketed and you can purchase one here. Even if you don't plan on getting tattooed you should definitely still try and check it out, come say hi to our girls, there will be some amazing art, merchandise for sale (because who doesn't love a good custom t-shirt and stickers!) over 300 artists, live entertainments and big giveaways. If you are unable to make this one, keep an eye out on our social media for where out lot will be attending over the year.